Break cabin fever at the Winter Squabee, an annual 3-day music fest featuring 30 local bands. Once again, Stonecat Cafe, which has a gorgeous view of Seneca Lake, will be hosting and serving meals for purchase. Suggested donation at the door: $10/person. Thanks to the generosity of festival organizers Nora Jones and Jess Youngquest, event proceeds will go to We Are Seneca Lake & the No Frack Almanac. We need volunteers to cover We Are Seneca Lake’s table. If you can volunteer for a 90-minute shift, please sign up using our Doodle schedule here, and email your phone number to Jan Quarles <janq99@gmail.com>. Hope to see you there! In March 2015, the National Fuel Gas Supply Corporation and Empire Pipeline Company filed a joint application with the Federal Energy Resource Commission (FERC) to construct a new natural gas pipeline and related infrastructure, known collectively as the Northern Access Project (NAP). The price tag on the project is $455 million, and is funded through international, as well as local, financial institutions. The proposed Northern Access Project consists of a 97-mile-long, 24” pipe that would carry Marcellus Shale gas from Sergeant Township (McKean County), PA, to the Porterville Compressor Station in the Town of Elma (Erie County), NY. Nearly 69% of the proposed main pipeline will be co-located in existing pipeline and power line rights-of-way, according to FERC. The agency says this will streamline the project and reduce the need to rely on eminent domain to most efficiently route the project. The above map shows the proposed pipeline (green) and related infrastructure (bright pink). The pale yellow and pink lines on the map are the existing pipelines that the Northern Access Project would tie into. Click here to explore the map fullscreen. National Fuel maintains that the goal of the proposed project would be to supply multiple markets in Western New York State and the Midwest. The project would also supply gas for export to Canada via the Empire Pipeline system, and New York and New England through the Tennessee Gas Pipeline 200 Line. The company anticipates that the project would be completed by late 2017 or early 2018. Proponents are hoping that NAP will keep fuel prices low, raise tax revenues, and create jobs. Push-back against this project has been widespread from citizens and environmental groups, including Sierra Club and RiverKeeper. This is despite an environmental assessment ruling in July 2016 that FERC saw no negative environmental impacts of the project. FERC granted a stamp of approval for the project on February 4, 2017. The Bufffalo-Niagara Riverkeeper, asserts that the project presents multiple threats to environmental health of the Upper Lake Erie and Niagara River Watersheds. In their letter to FERC, they disagreed with the Commission’s negative declaration that the project would result in “no significant impact to the environment.” The pipeline construction will require crossings of 77 intermittent and 60 perennial streams, 19 of which are classified by the New York State Department of Environmental Conservation (NYS DEC) as protected trout streams. Twenty-eight of the intermittent streams impacted also flow into these protected streams. Resulting water quality deterioration associated with bank destabilization, increased turbidity, erosion, thermal destabilization of streams, and habitat loss is likely to impact sensitive native brook trout and salamanders. Riverkeeper found that National Fuel’s plan on how to minimize impacts to hundreds of wetlands surround the project area was insufficient. FERC’s Environmental Assessment of the project indicated that approximately 1,800 acres of vegetation would affected by the project. Several groups have also taken issue with the proposed project’s plan to use the “dry crossing” method of traversing waterways. Only three crossings will be accomplished using horizontal directional drilling under the stream bed — a method that would largely protect the pipes from dynamic movement of the stream during floods. The rest will be “trenched” less than 5 feet below the stream bed. Opponents of the project point out that NYSDEC, federal guidelines, and even industry itself discourage pipe trenching, because during times of high stream flow, stream scour may expose the pipes to rocks, trees, and other objects. This may lead to the pipes leaking, or even rupturing, impacting both the natural environment, and, potentially, the drinking water supply. A December 2016 editorial to The Buffalo News addressed the impacts that the proposed Northern Access Project could have to the Cattaraugus Creek Basin Aquifer, the sole source of drinking water for 20,000 residents in surrounding Cattaraugus, Erie, and Wyoming counties in New York. In particular, because the aquifer is shallow, and even at the surface in some locations, it is particularly vulnerable to contamination. The editorial took issue with the absence of measures in the Environmental Assessment that could have explored how to protect the aquifer. Other concerns include light and noise pollution, in addition to well-documented impacts on climate change, created by fugitive methane leakage from pipelines and compressors. NYSDEC has held three public hearings about the project already: February 7th at Saint Bonaventure University (Allegheny, NY), February 8th at Iroquois High School (Elma, NY), February 9th at Niagara County Community College (Sanborn, NY). The hearing at Saint Bonaventure was attended by nearly 250 people. While FERC approved the project on February 4, 2017, the project still requires approvals from NYSDEC – including a Section 401 Water Quality Certification. These decisions have recently been pushed back from March 1 to April 7. Proponents for the project – particularly the pipefitting industry – have emphasized that it would create up to 1,700 jobs during the construction period, and suggested that because of the experience level of the construction workforce, there would be no negative impacts on the streams. Other speakers emphasized National Fuel’s commitment to safety and environmental compliance. Seneca Nation President Todd Gates expressed his concerns about the gas pipeline’s impacts on Cattaraugus Creek, which flows through Seneca Nation land (Cattaraugus Indian Reservation), and is downstream from several tributaries traversed by the proposed pipeline. In addition, closer to the southern border of New York State, the proposed pipeline cuts across tributaries to the Allegheny River, which flows through the Allegheny Indian Reservation. One of New York State’s primary aquifers lies beneath the reservation. The closest that the proposed pipeline itself would pass about 12 miles from Seneca Nation Territory, so National Fuel was not required contact the residents there. According to The Buffalo News, National Fuel has purchased 20 acres of land from the Tonawanda Sportsmen’s Club. The company is building two compressors on this property, totaling 22,000 HP, to move gas through two miles of pipeline that are also part of the proposed project, but 23 miles north of the primary stretch of newly constructed pipeline. Less than six miles east of the Pendleton compressor stations, a dehydration facility is also proposed. The purpose of this facility is to remove water vapor from the natural gas, in accordance with Canadian low-moisture standards. According to some reports from a National Fuel representative, the dehydration facility would run only a few days a year, but this claim, has not been officially confirmed. Residents of both Pendleton and Wheatfield have rallied to express their concerns about both components of the project, citing potential impacts on public health, safety, and the environment relating to air and water quality. Huh? Following the link I found, “Enrollment will allow us to make brief, limited adjustments to your Wi-Fi thermostat during times of peak summer electric demand (May 1 through September 30).” My first thought was that the idea of a big utility company connecting to the Internet-connected thermostat in my home to control the temperature smacked of dystopian future scifi. Then I thought the future is now. Here is a way to save energy fairly automatically, without thinking about it, and saving money at the same time. Starting in March parts of Lansing, Dryden, and Ithaca will become a test area for a new program, Energy Smart Community, that will turn the electric grid into a king of Internet of electricity capable of two-way communication, providing hour by hour data to customers and NYSEG alike, and offering products to consumers that can save both money and energy. Mann says the program will give customers the information and tools they need to decide how they use electricity, whatever their motivation, be it convenience, saving the planet, or just want to save a buck. The memo reversed Barack Obama’s decision in December to deny a key permit for Energy Transfer Partners to complete the build-out of Dakota Access across the Missouri river. The rejection, a major victory for the Standing Rock Sioux tribe, directed the government to complete a full environmental impact study on the pipeline, which could have delayed the project for years. Americans are building beachfront homes even as the oceans rise. BEFORE Hurricane Sandy tore through New York and New Jersey, it stopped in Florida. Huge waves covered beaches, swept over Fort Lauderdale’s concrete sea wall and spilled onto A1A, Florida’s coastal highway. A month later another series of violent storms hit south Florida, severely eroding Fort Lauderdale’s beaches and a chunk of A1A. Workers are building a new sea wall, mending the highway and adding a couple of pedestrian bridges. Beach erosion forced Fort Lauderdale to buy sand from an inland mine in central Florida; the mine’s soft, white sand stands out against the darker, grittier native variety. Hurricanes and storms are nothing new for Florida. But as the oceans warm, hurricanes are growing more intense. 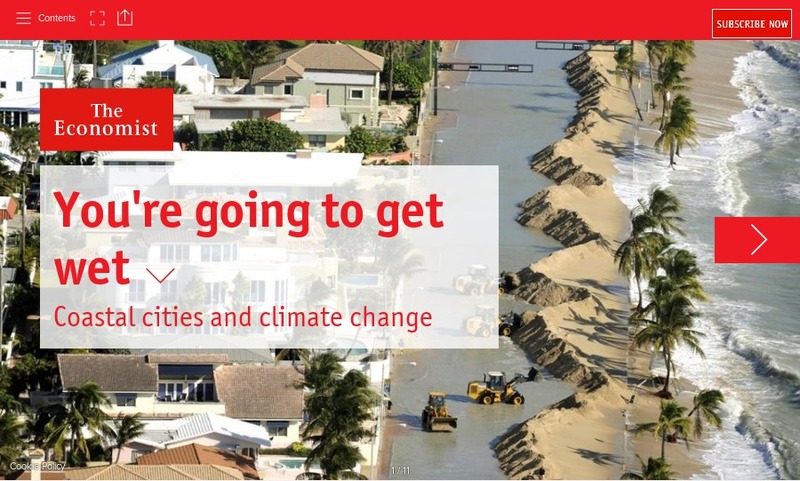 To make matters worse, this is happening against a backdrop of sharply rising sea levels, turning what has been a seasonal annoyance into an existential threat. For around 2,000 years sea levels remained relatively constant. Between 1880 and 2011, however, they rose by an average of 0.07 inches (1.8mm) a year, and between 1993 and 2011 the average was between 0.11 and 0.13 inches a year. In 2007 the Intergovernmental Panel on Climate Change (IPCC) forecast that seas could rise by as much as 23 inches by 2100, though since then many scientists have called that forecast conservative. Seas are also expected to warm up, which may make hurricanes and tropical storms more intense. There are more than 900,000 active oil and gas wells in the United States, and more than 130,000 have been drilled since 2010, according to Drillinginfo, a company that provides data and analysis to the drilling industry. On February 3, the Republican-led Senate used an obscure procedural tool to end a bipartisan provision meant to fight corruption and overseas oil bribery, a rule opposed by Rex Tillerson as head of ExxonMobil. The Securities and Exchange Commission’s (SEC) transparency rule, part of the 2010 Dodd-Frank financial reform bill, was created to reduce corruption by requiring drilling and mining companies to disclose royalties and other payments made to governments in exchange for oil, gas, and mining extractions. Critics say overturning the rule could threaten national security. Written by Sen. Ben Cardin (D-MD) and Sen. Richard Lugar (R-IN), the transparency rule mandated that extractive companies listed on the U.S. Stock Exchange — including Exxon, Chevron, and several Chinese oil conglomerates — publish details of the hundreds of billions of dollars paid for the rights to a nation’s natural resources. The transparency rule was implemented in 2016 with broad support from community leaders throughout the world. It took years to finalize due to lawsuits by the petroleum industry and the U.S. Chamber of Commerce. The industry argued that disclosures would hurt publicly traded companies competing with foreign or state-run companies and that reporting would be burdensome. The American Petroleum Institute (API) strongly supported overturning the SEC transparency rule via the Congressional Review Act, issuing a fact sheet on it to Congress. A 24.9% stake in the 400-MW Rampion wind project off the coast of England (expected to be fully operational in 2018). 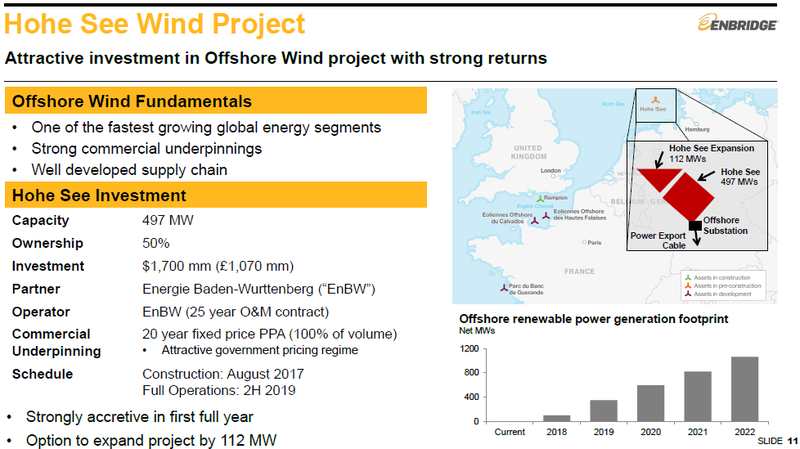 A 50% interest in French offshore wind development company Éolien Maritime France SAS, which is pursuing three large-scale offshore wind that would produce a combined 1,428-MW and are subject to final investment decision. 100% of the 249-MW Chapman Ranch wind project in Texas for capital costs of $400 million. 100% of the 103-MW New Creek wind project in West Virginia for capital costs of $200 million. Why Is the Exxon-Funded Heartland Institute Now Calling Oil Trains “Dangerously Flammable”? But why was Heartland, which has received large amounts of funding from ExxonMobil, championing oil pipelines while highlighting the risks of oil trains? Exxon is owner of the largest oil-by-rail terminal in Canada. Is the oil industry — or at least its paid supporters — finally admitting that moving oil by rail might be too dangerous? Or is this just the latest talking point to push for more pipelines while fighting safety regulations for oil-by-rail? [Last week we published a recent interpretive review of scientific literature performed by the U.S. Geological Survey and the University of Rochester regarding interactions of gas hydrates and climate. This week we publish an explication of that review by Paul Beckwith, of University of Ottawa. Hi Paul. Thanks for agreeing to do this interview. First of all, could you tell us a bit about your background, how long you’ve been involved in climate science, and what areas of climatology you specialize in? It is my pleasure to have this interview with you. I am an Engineer with a Bachelor of Engineering Degree in Engineering Physics (often called Engineering Science) from McMaster University in Hamilton, Ontario, Canada. I finished at the top of my class and received many scholarships and awards during my studies. My CV can be found on my website http://paulbeckwith.net under the About Me section [where you will also find a PayPal button for donations to unspecified purposes.—Editor]. I am a Physicist with a Master of Science Degree in Laser Physics. My research area was blowing molecules apart with high-powered CO2 lasers and measuring all the chunks flying off with low-power tunable diode lasers. This involved the science of molecular spectroscopy in the infrared region. Oklahoma Attorney General Scott Pruitt, a close ally of the fossil fuel industry who has filed more than a dozen lawsuits challenging Environmental Protection Agency rules and authority, was confirmed on Friday to lead that agency. Senators voted nearly along party lines, 52-46, brushing off attempts by Democrats to delay confirmation until thousands of his emails are released . 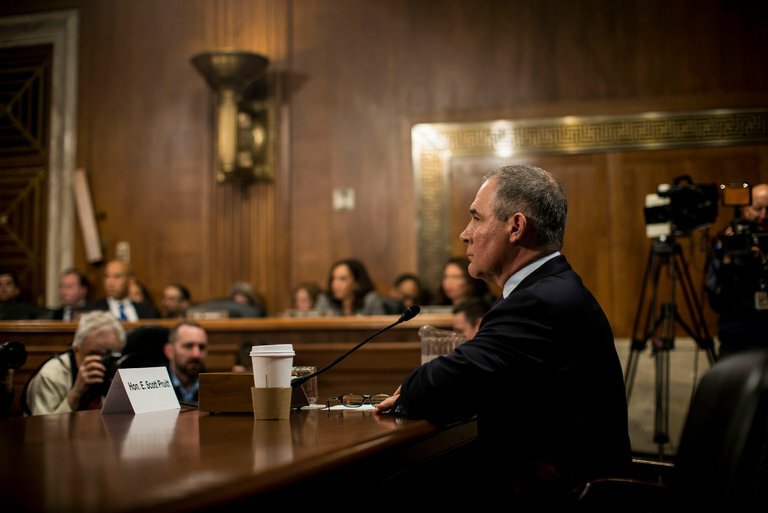 Pruitt’s confirmation followed a bitter fight in which Democrats raised concerns over Pruitt’s ties to an industry he would be regulating and his dismissal of mainstream climate change science. But over the weekend, the city of Mangum, Oklahoma, hit temperatures of 100 degrees Fahrenheit (38 degrees Celsius) – way above the average February high of 56 degrees Fahrenheit (13 degrees Celsius) for the region. “Mangum, Oklahoma broke a daily record when the thermometer hit 99 degrees on Saturday,” Nicholas Kusnetz reports for Insider Climate News. The reality is that scientists can’t say for sure what causes these weather anomalies – one-off events are hard to pin down. But what they do know is that climate change is definitely happening at an unprecedented rate. And that these types of extreme weather events – both hot and cold – are becoming far more common around the world. The day after the U.S. Army Corps of Engineers gave the owners of the Dakota Access Pipeline (DAPL) the final permit it needed to build its line across Lake Oahe, which connects to the Missouri River, a natural gas liquids pipeline owned by one of the DAPL co-owners exploded and erupted in flames in Paradis, Louisiana. Paradis is located 22 miles away from New Orleans. That line, the VP Pipeline/EP Pipeline, was purchased from Chevron in August 2016 by DAPL co-owner Phillips 66. One employee of Phillips 66 is presumed dead as a result of the explosion and two were injured. In a press release published by Phillips 66 announcing its purchase of VP/EP, the company stated that “approximately 200 miles of regulated pipelines that carry raw NGLs from a third-party natural gas processing plant.” A DeSmog investigation shows that the “third-party natural gas processing plant” is owned by the company Targa Resources, and that plant is fed in part by a gas pipeline owned by Enbridge, another co-owner of Dakota Access. The New Orleans Advocate reported that VP Pipeline/EP Pipeline opened for business originally as a pipeline in 1958. Like the line that connects to Dakota Access, the Energy Transfer Crude Oil Pipeline (ETCOP), it is decades old. Built in 1947, ETCOP will carry the oil obtained from hydraulic fracturing (“fracking”) via North Dakota’s Bakken Shale basin from Patoka, Illinois to Nederland, Texas. ETCOP was formerly known as the Trunkline Pipeline, which carried gas from south to north. Aging pipelines are seen as a major issue that could create catastrophes like those seen in Paradis, where the fire lasted for days until officials finally got it under control. The 2013 ExxonMobil-owned Pegasus Pipeline spill in Mayflower, Arkansas, which saw 3,190 barrels (134,000 gallons) spew out of the line, ensued on an aging pipeline constructed between 1947-1948. A group of governors from both ends of the political spectrum are urging President Donald Trump to support renewable energy, saying the wind and solar industries are crucial economic engines for impoverished rural regions. The Governor’s Wind & Solar Energy Coalition is seeking increased federal funding to modernize local power grids and boost clean energy research, according to a letter submitted to the White House Monday. The group is also calling for legislation to promote offshore wind farms and efforts to streamline the permitting process for wind and solar projects. 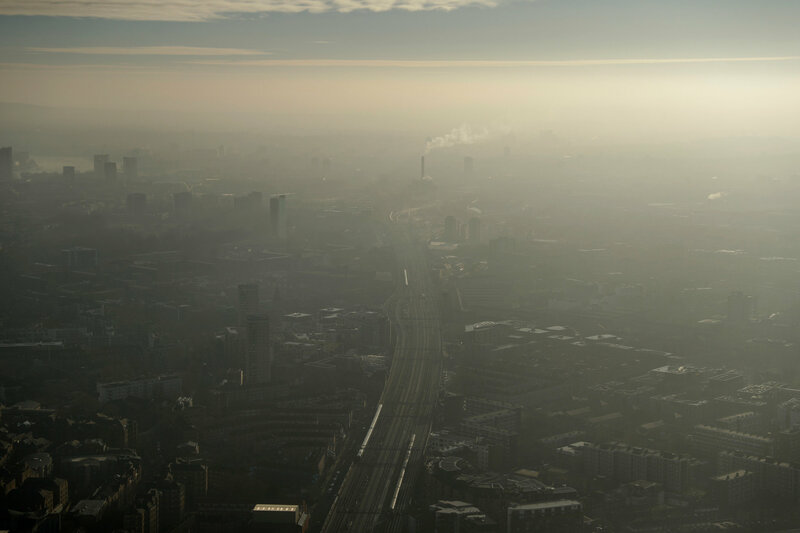 The repeal will mean more greenhouse gas pollution from burning coal. It’s also bad news for scores of little-known imperiled species, such as nearly 50 types of freshwater mussels that live in waters affected by mining. Last year, the Obama administration’s regulatory impact analysis concluded the stream protection rule would have cut carbon dioxide emissions from coal-burning by up to 2.6 million tons a year because of reduced mining, avoiding hundreds of millions of dollars of future damages.